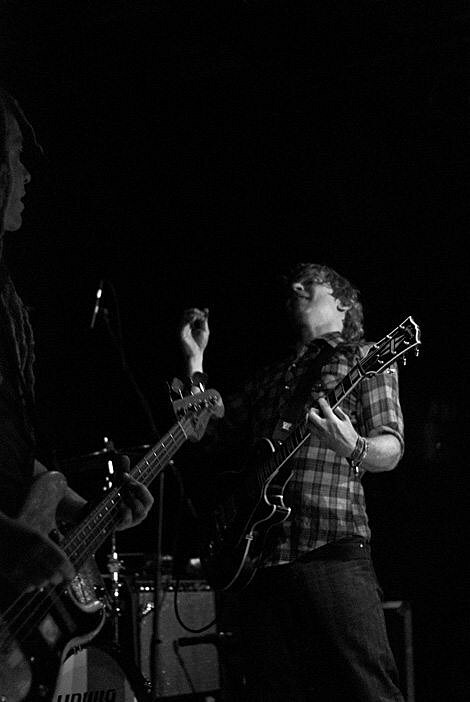 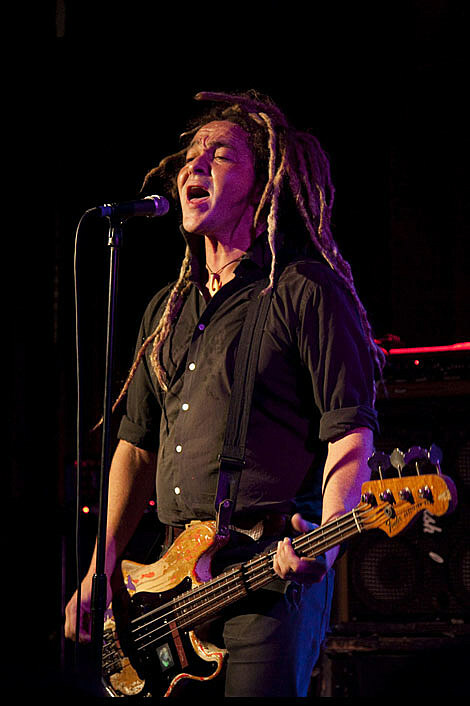 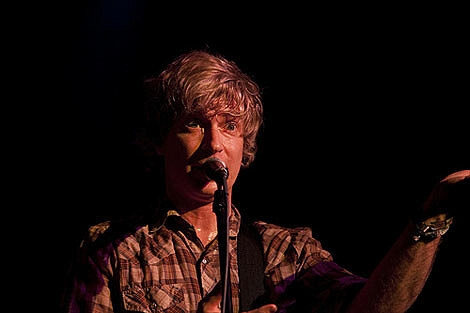 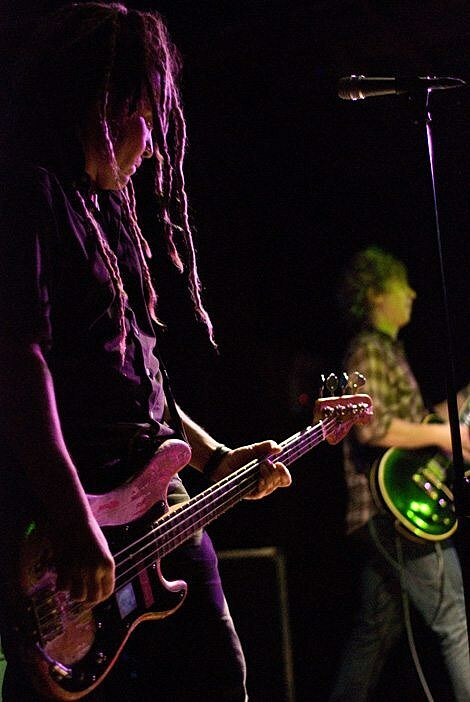 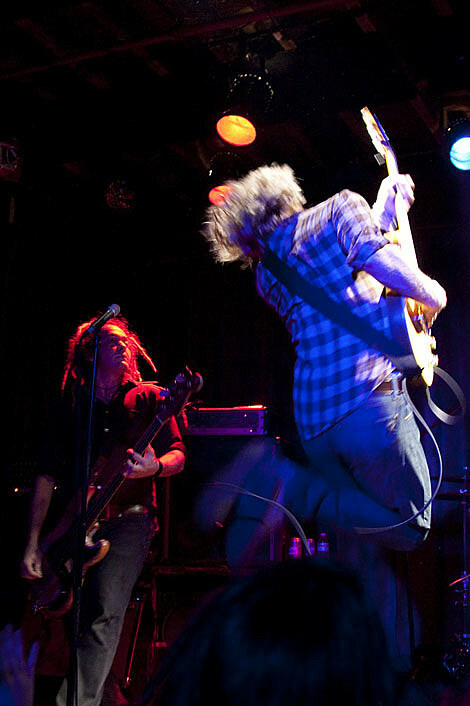 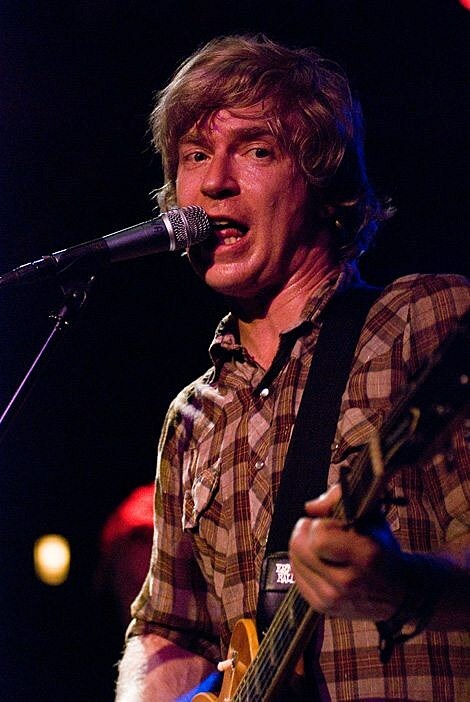 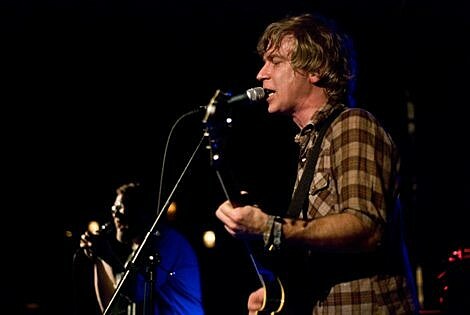 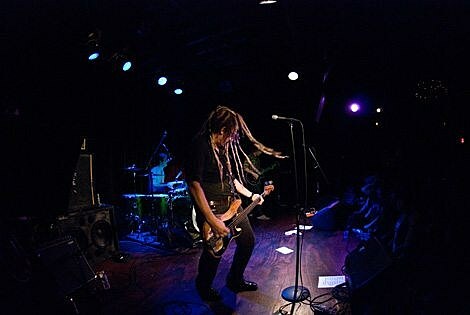 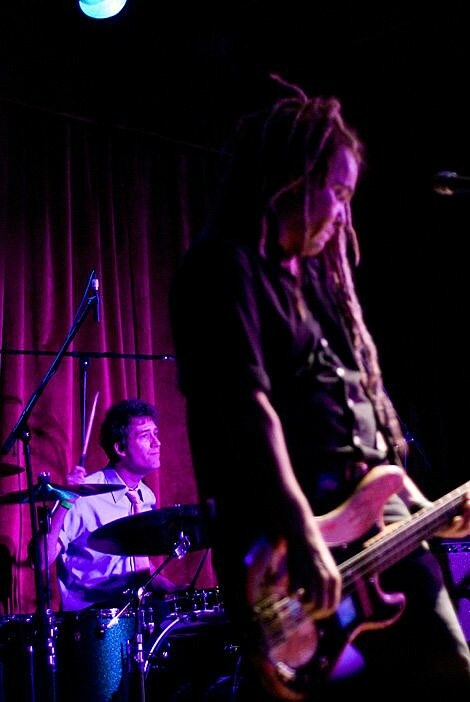 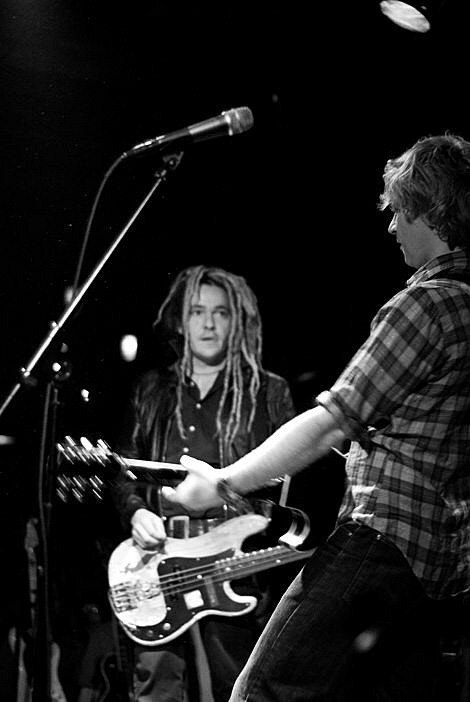 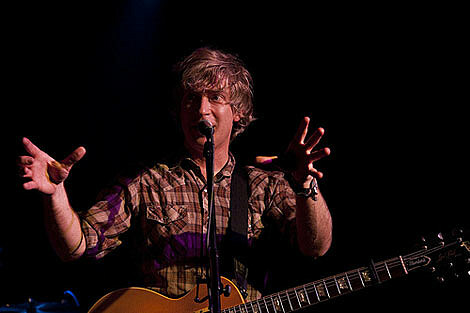 Nada Surf played the 2nd night of 3 full album shows at The Bell House on Friday night. 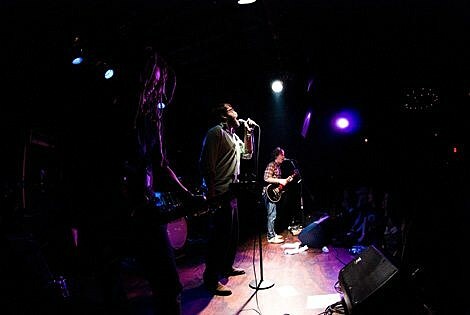 On deck for the evening was “The Weight Is A Gift” followed by a set of covers and songs from their other albums. 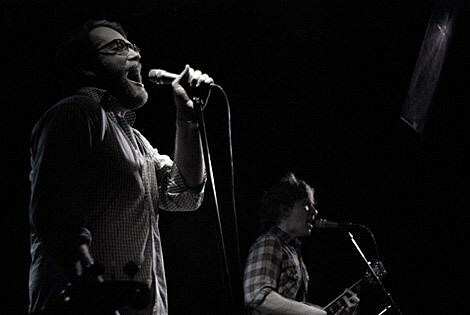 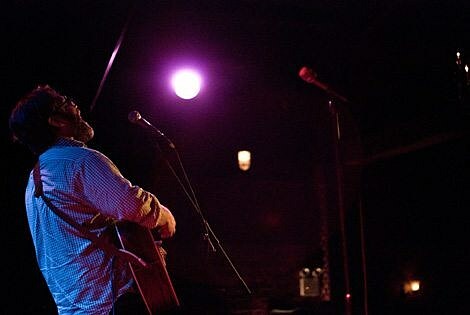 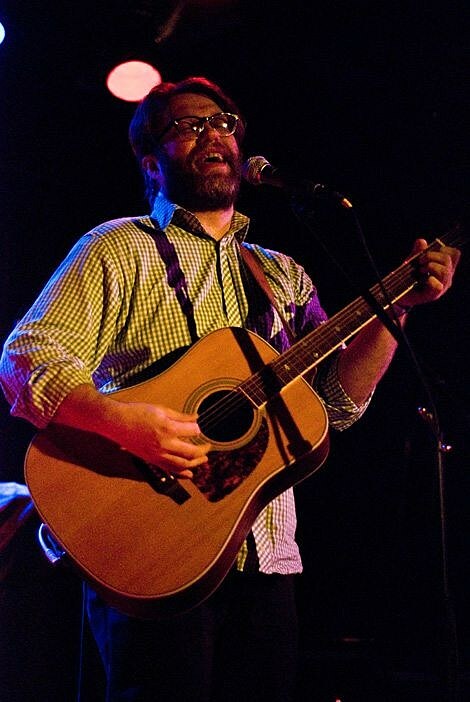 John Roderick of The Long Winters opened the show. 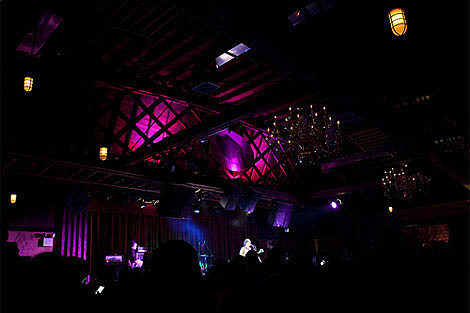 He definitely seemed to have the crowd more engaged than the opening set by Sondre Lerche the night before. 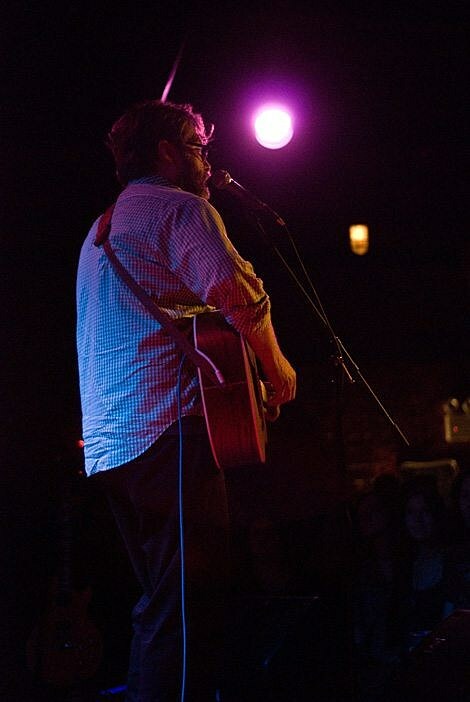 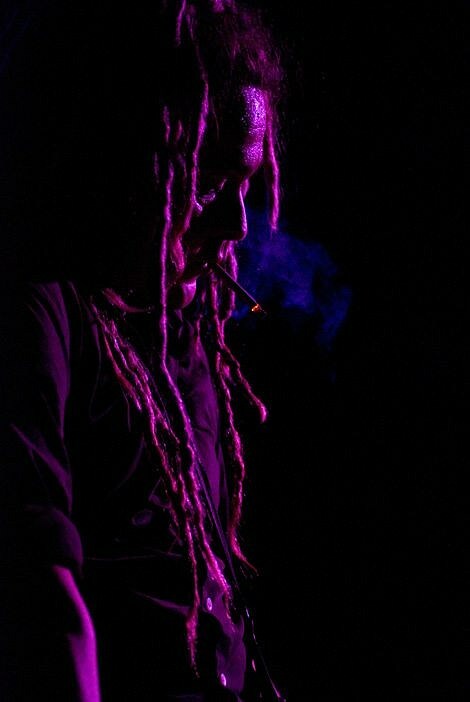 Some were familiar with his music, but Roderick won over the rest of the crowd with his great in-between song banter. 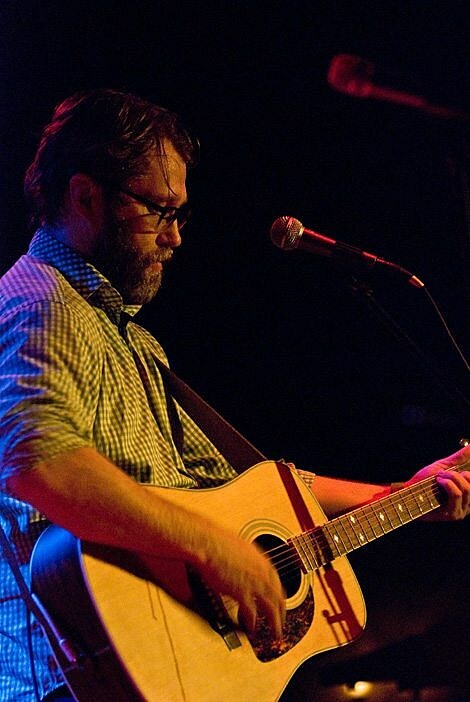 His humor was also on sale at the merch table, where he was selling a book of material culled from his twitter feed (@Johnroderick). 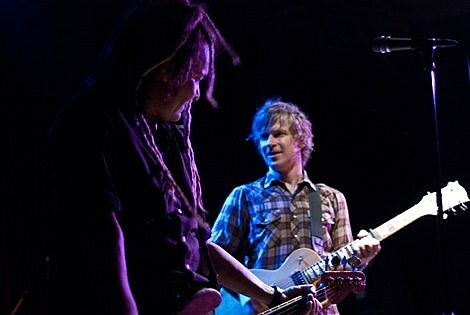 Nada Surf joined him for the final song of his set. 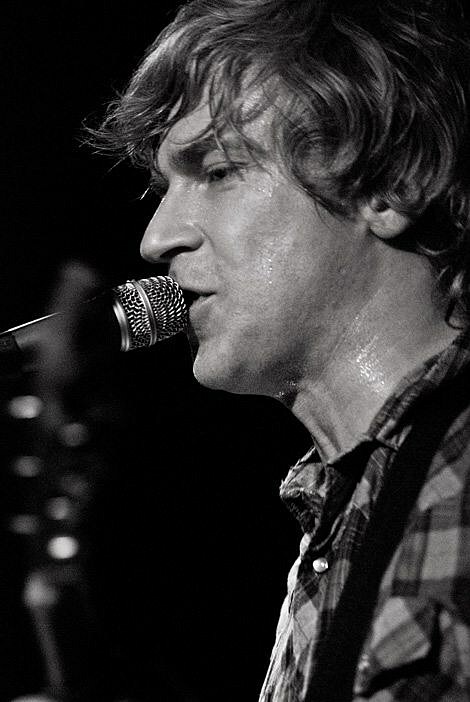 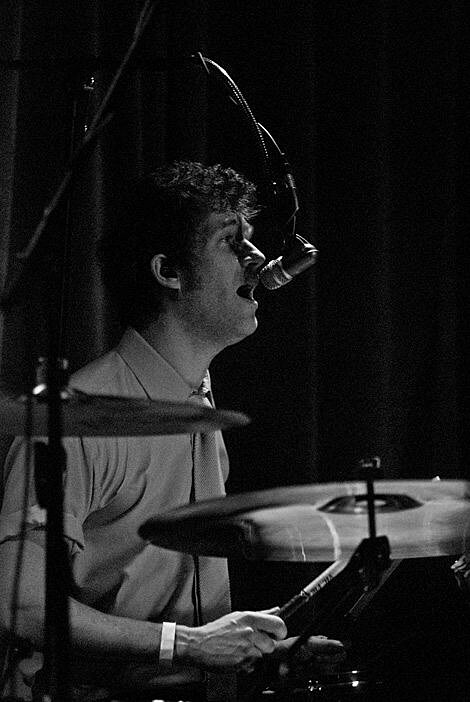 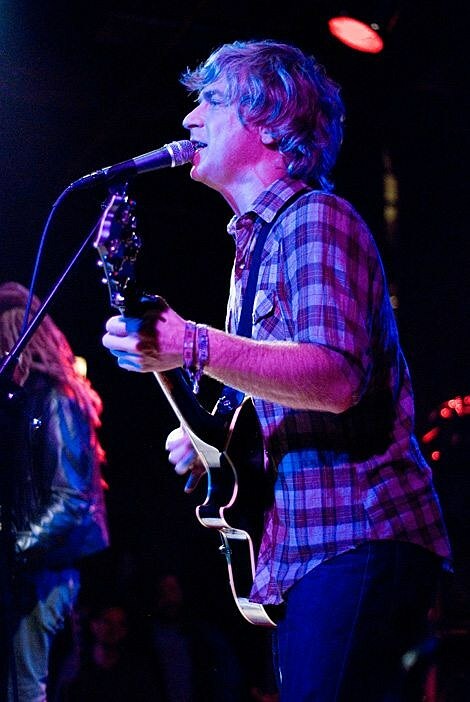 Perhaps Matthew Caws was getting over his cold, or perhaps the Bell House provided a better atmosphere for the show, but Nada Surf seemed to have even more energy than they did the night before at Bowery Ballroom. 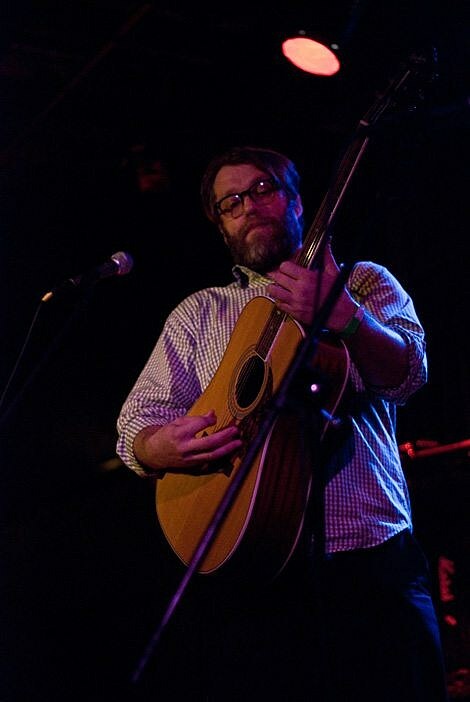 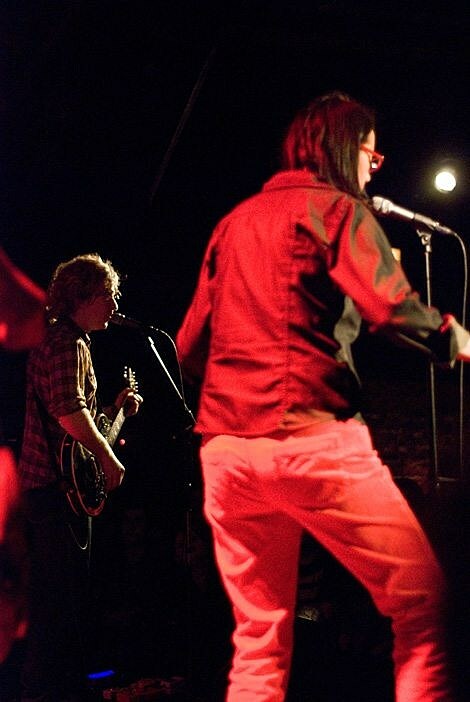 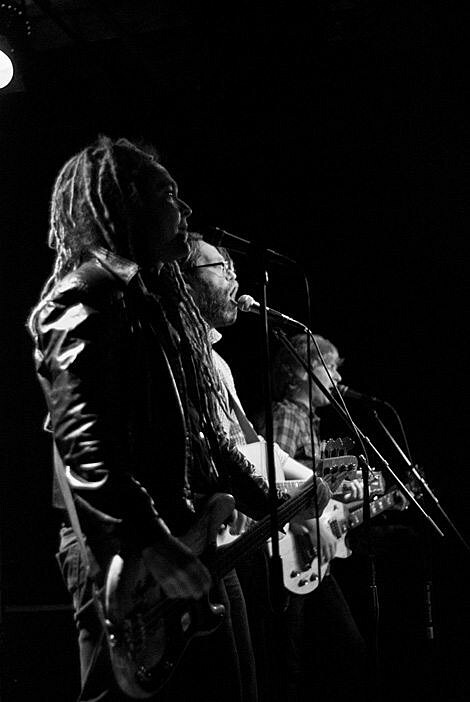 Joined by John Roderick on background vocals, and Doug Gillard on guitar (also there the night before), as well as a rotating list of guests on keys, the band got the crowd bouncing for two long sets. 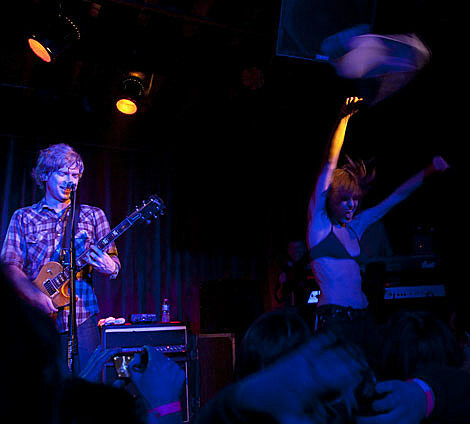 During “Blankest Year” everyone shouted along, and a girl up front jumped on stage in her bra, waving her shirt before diving back into the crowd. 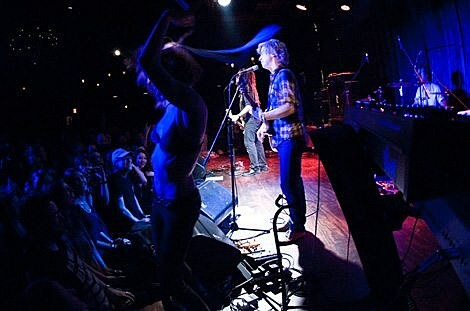 That got the crowd going even more. 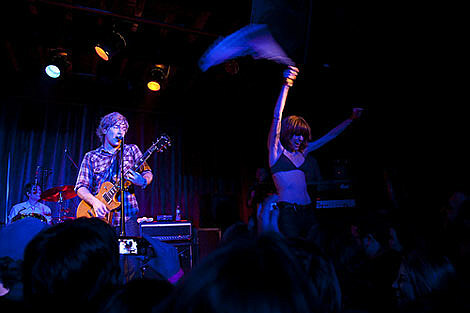 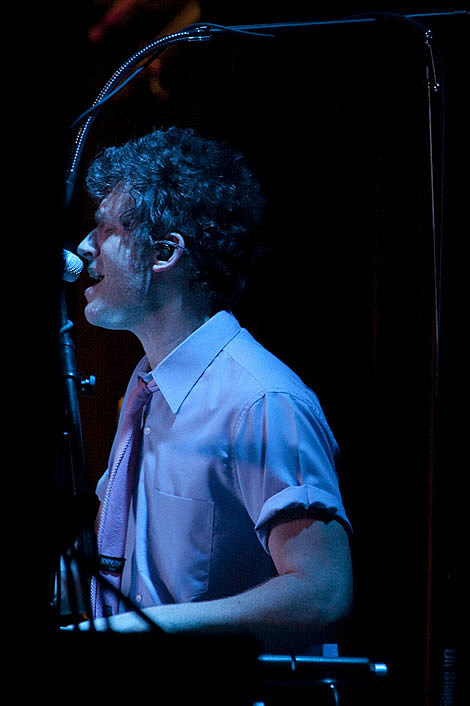 The second set, like the previous night, was a mix of old favorites and covers from their new all covers album. 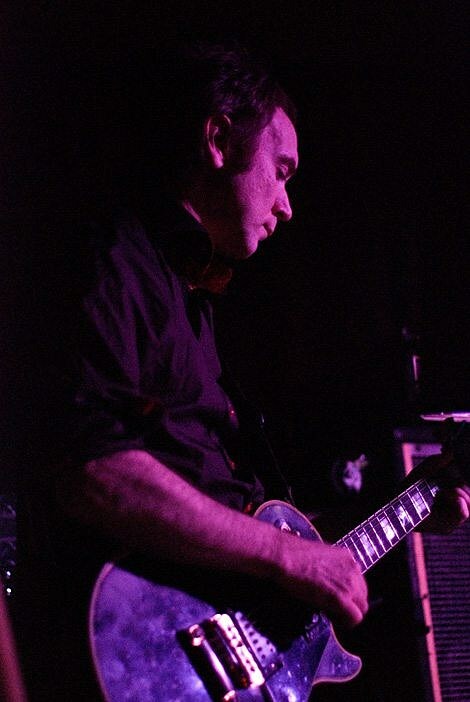 several songs were played again including Depeche Mode’s “Enjoy The Silence” and Bill Fox’s “Electrocution”. 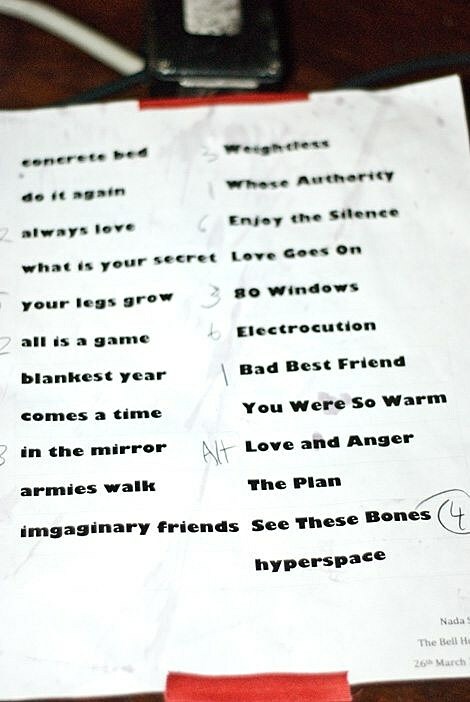 Oddly, they included no songs from “Let Go” (the album featured the night before at Bowery) despite shouts for songs from that album from the crowd. 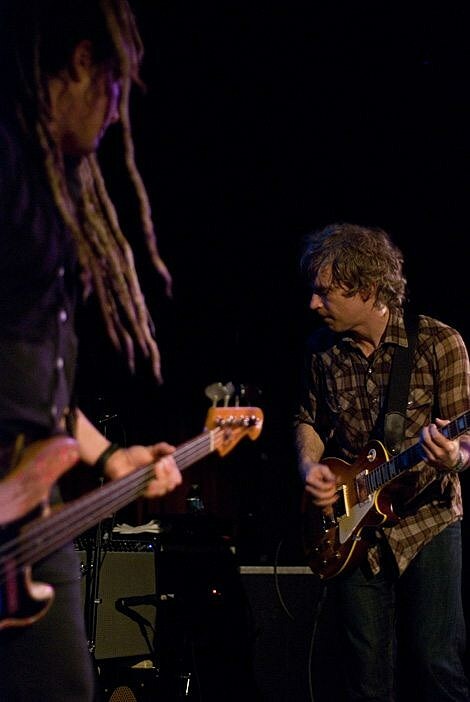 Nada Surf closed the show in the same fashion as the night before, with a cover of “I Fought The Law”, this time joined by John Roderick, which brought it to another level.